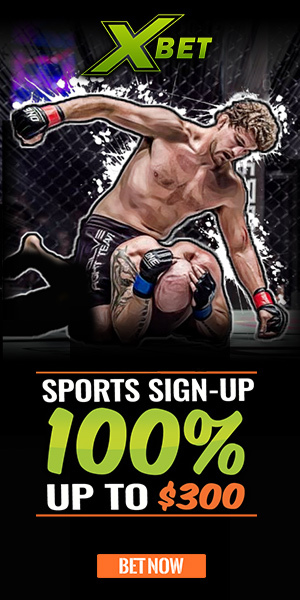 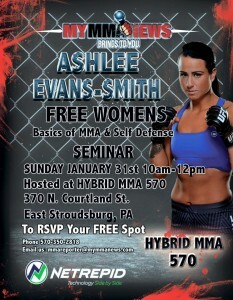 Ashlee Evans-Smith held a free women's self-defense seminar at Hybrid MMA 570 in East Stroudsburg, PA January 31. 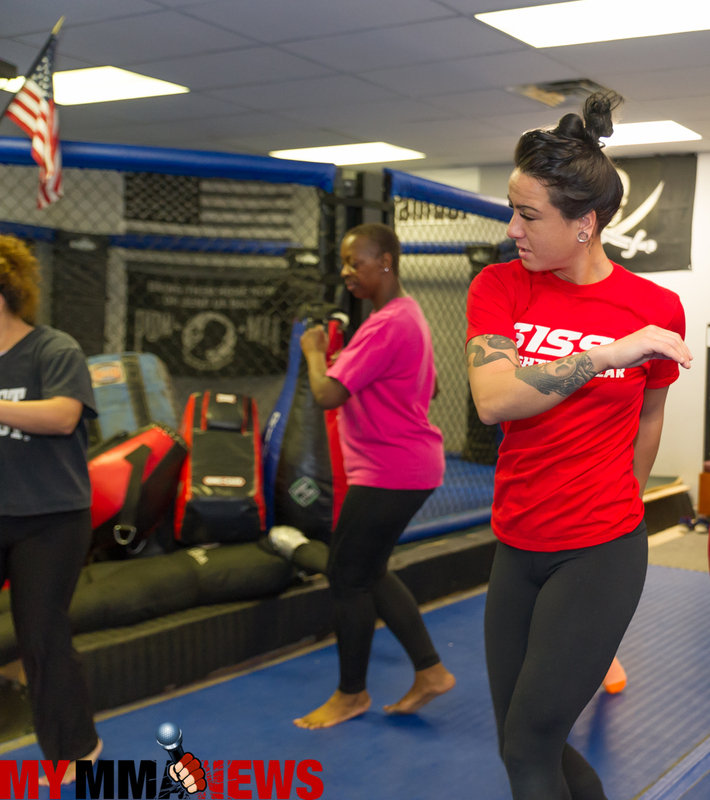 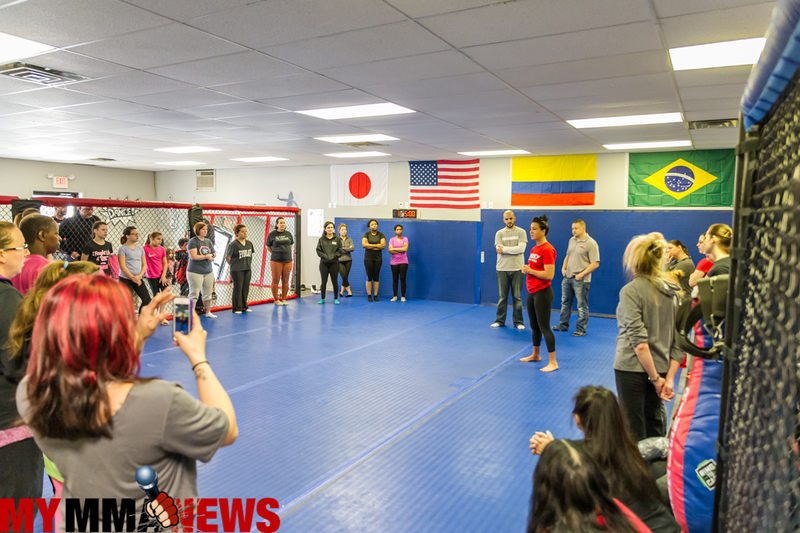 UFC bantamweight fighter Ashlee Evans-Smith (3-1 as a professional mixed martial artist) held a self-defense seminar for women at Hybrid MMA 570 in East Stroudsburg, Pennsylvania, January 31. 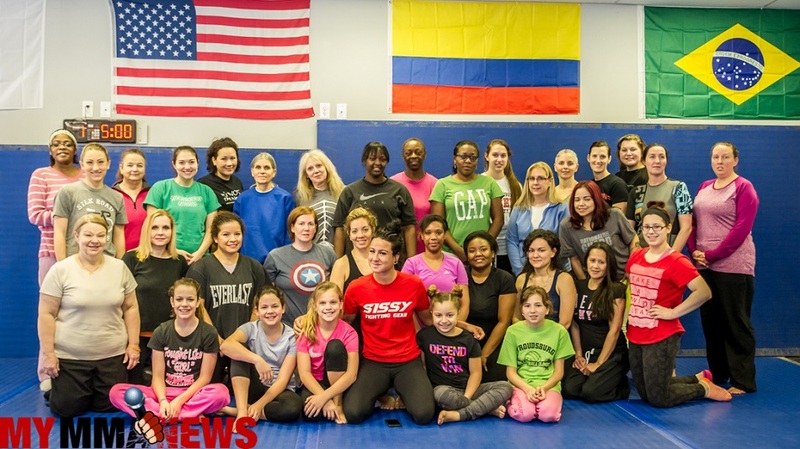 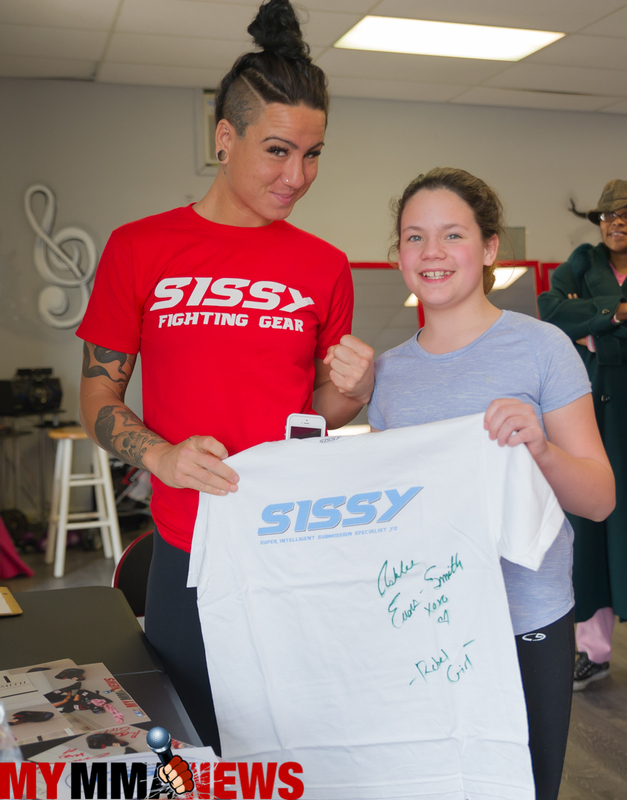 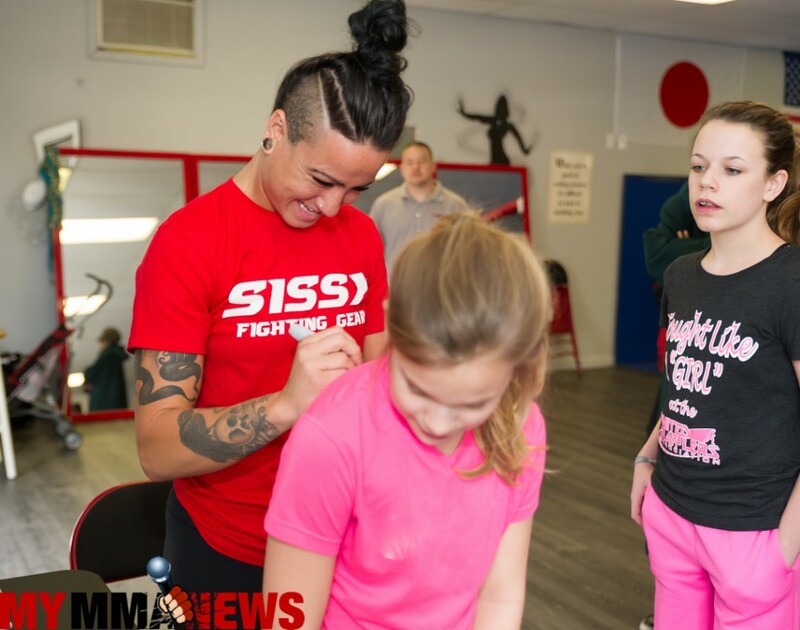 The two-hour long course/demonstration which was free of charge for the more than 30 women that packed the gym was sponsored by Sissy Fighting Gear, a clothing apparel line that’s mission is to knockout bullying. 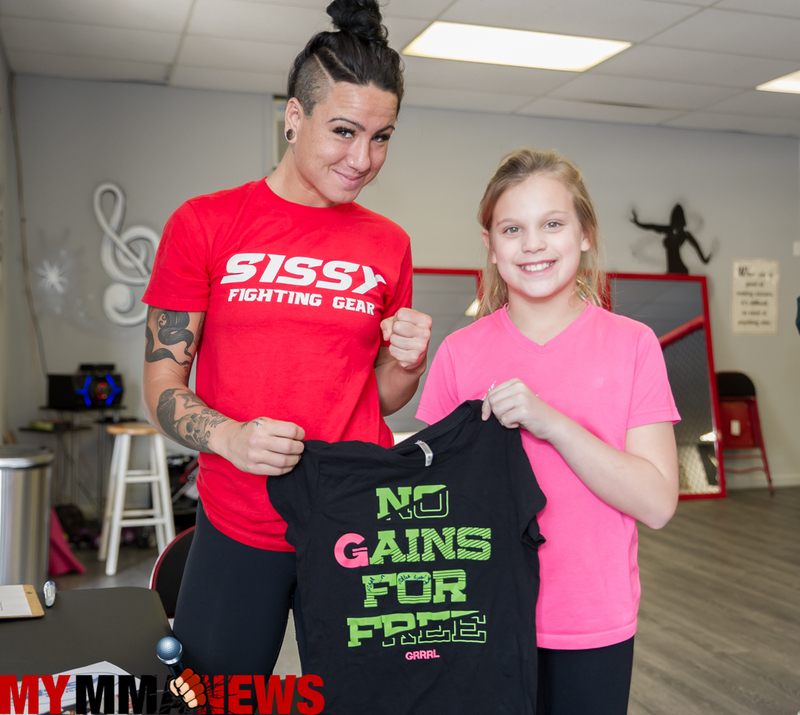 Evans-Smith, a California native was in town for the weekend through a partnership with MyMMANews.com, less than 25 days from the biggest fight of her career. 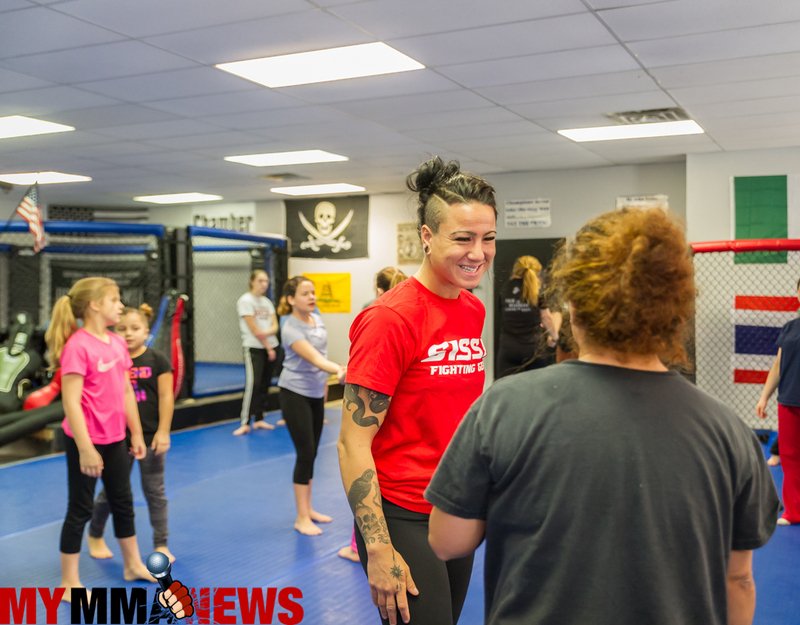 “Rebel Girl” Evans-Smith will fight Marion Reneau at UFC Fight Night 83 in Pittsburgh, Sunday, February 21. 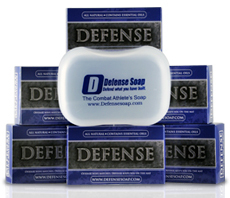 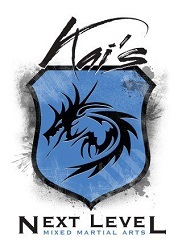 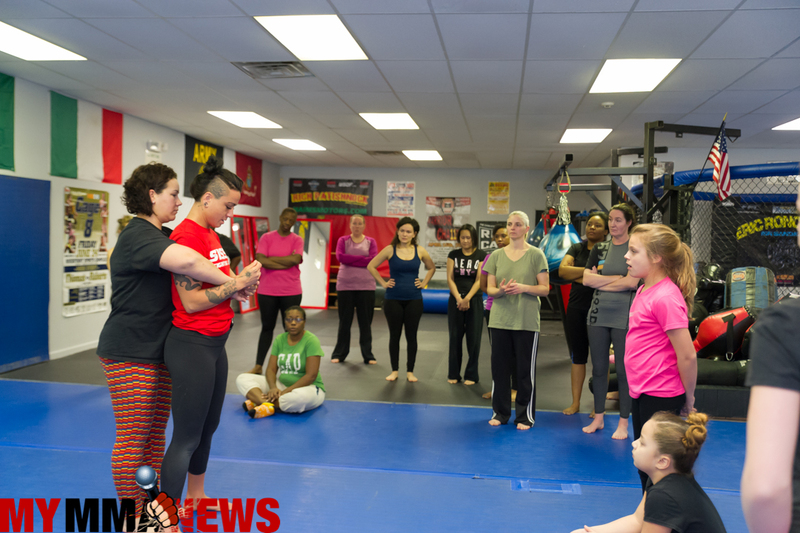 The self-defense seminar was a first for Evans-Smith. 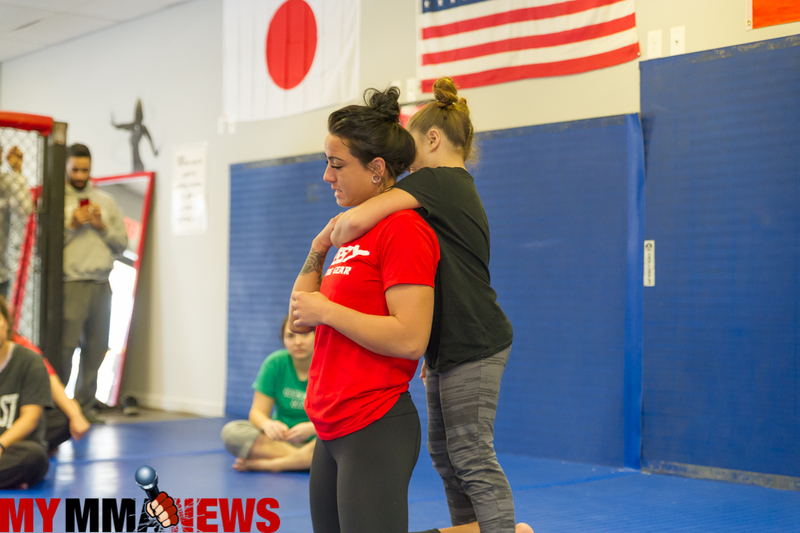 One day prior she held a Brazilian Jiu-Jitsu and Wrestling technique seminar at Atomic Brazilian Jiu-Jitsu in Berwick, PA.
“I have never taught a self-defense course,” Evans-Smith said. 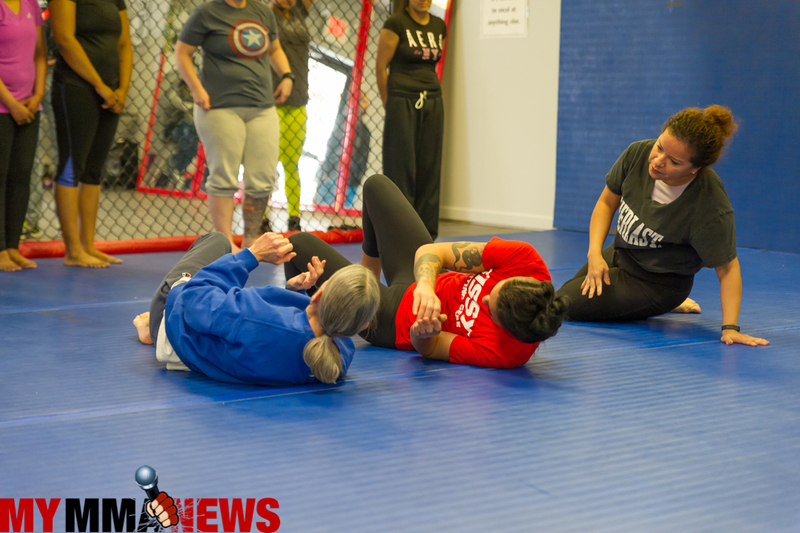 “Hopefully these women will never have to use it, but they have taken the first step in protection, by walking through the doors,” she said. 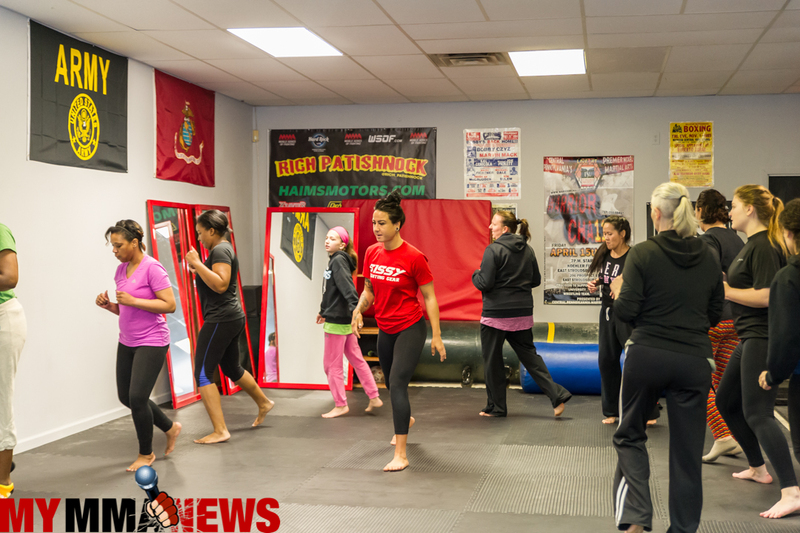 One of the women who attended the course was almost a victim of a spree of recent car jackings in the East Stroudsburg area who felt it would be beneficial to take the class. 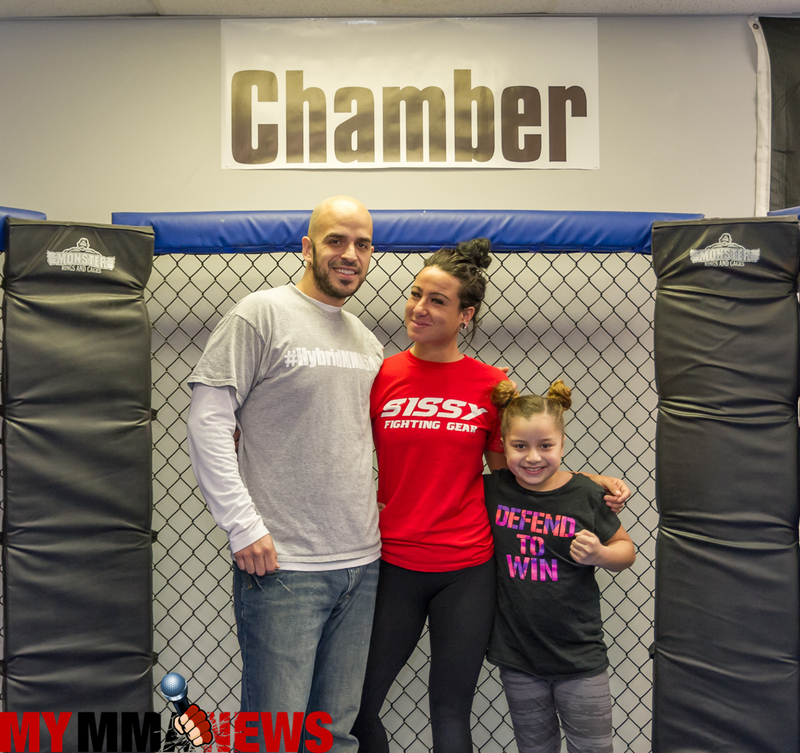 Her husband told MyMMANews.com that the attacker latched on to the driver’s side door of the vehicle in which his wife was driving and tried to force her out, however she was able to drive off without incident. 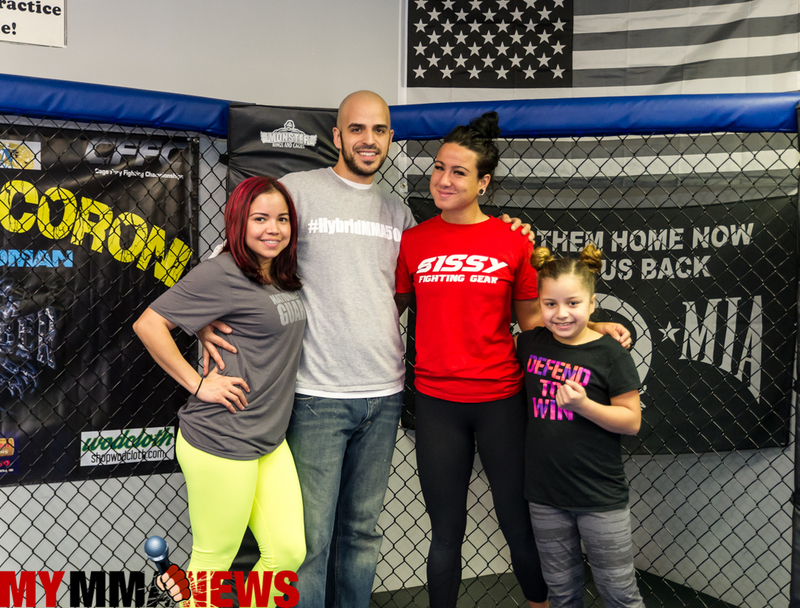 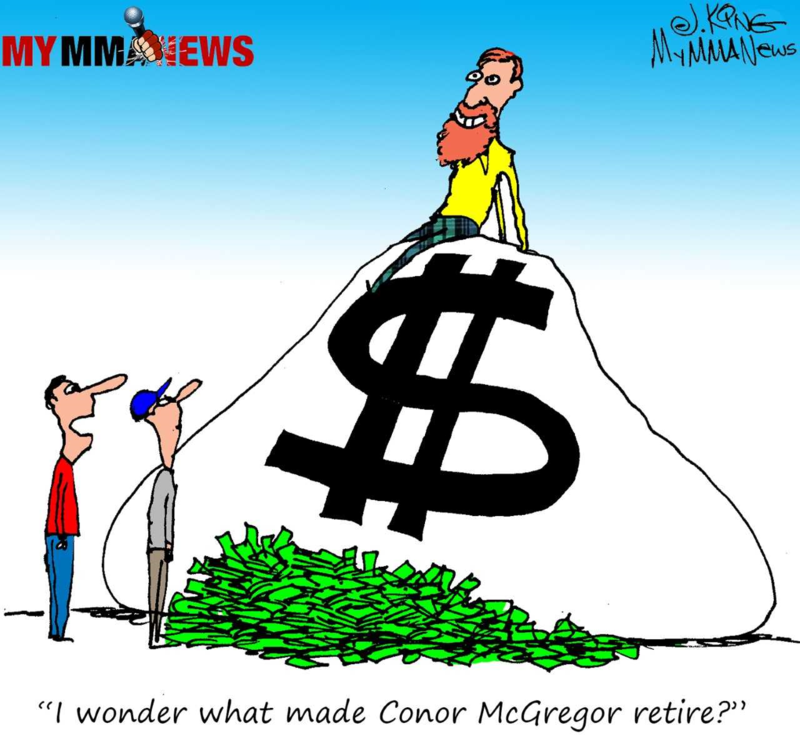 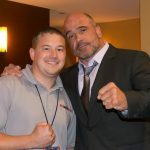 Below is a photo gallery by MyMMANews photographer, William McKee. 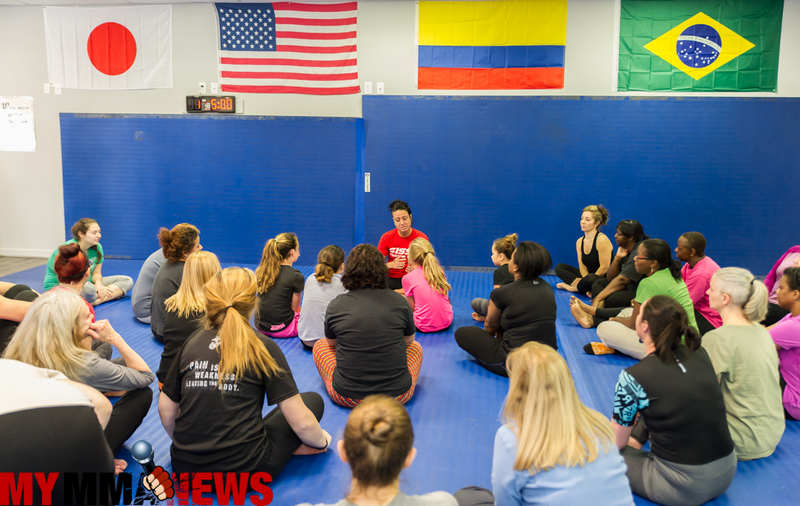 Awesome class! 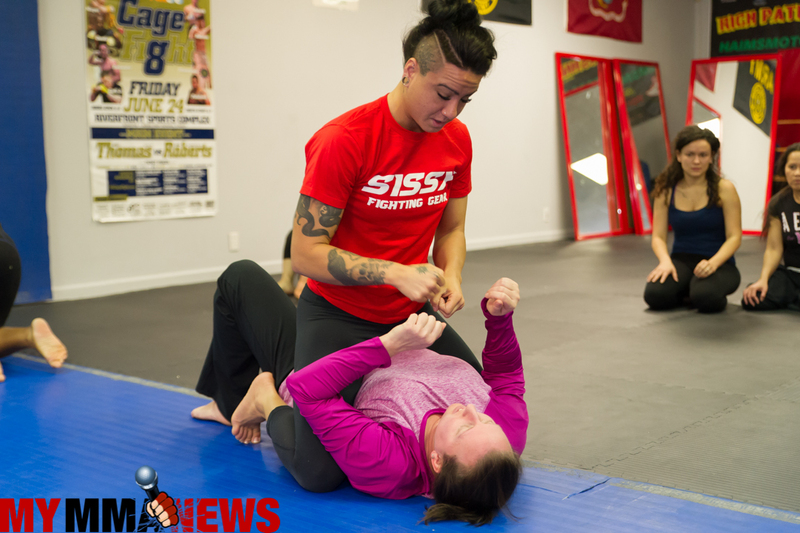 I got alot out it and so happy that Hybrid 570 cares about the woman in the local community!!! 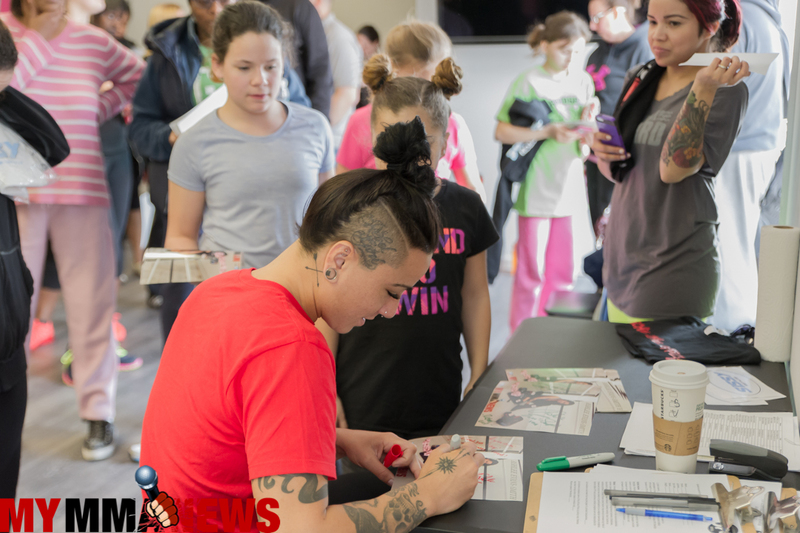 AshLee was great !